How much is the wristband and are they sold at every show so far?? 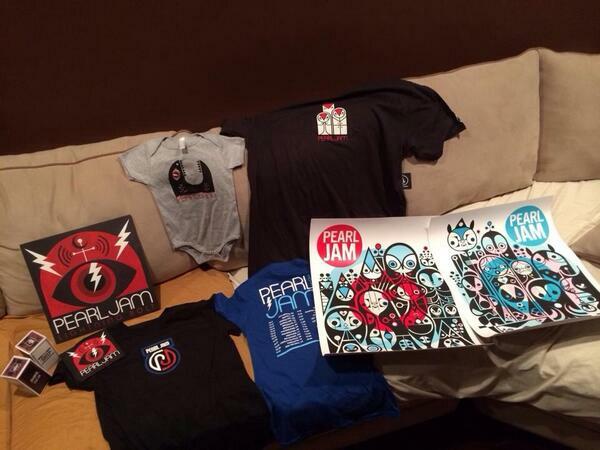 New Mexico Pearl Jam Fans (New Mexico, USA) on Facebook! Very cool! 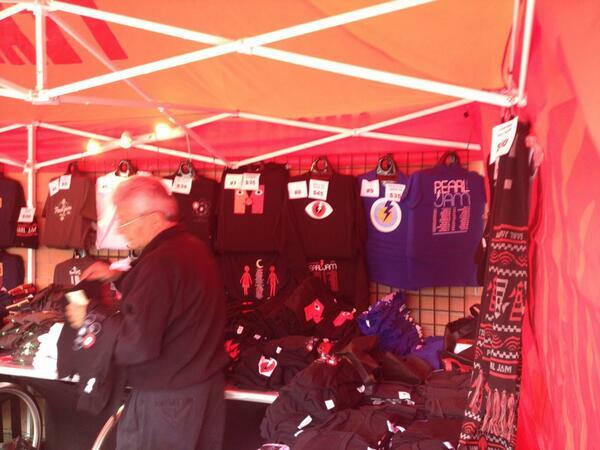 Really digging all the merch stuff so far!!!! Posters have been looking great too!!! Cant wait till Vancouver to p/u some of this stuff!!!!! hey you stole my pics!!! Sir Mike McCready is....THE MASTER!!! WAHHH!!! EVENFLOW PSYCHOS H.N.I.C~FEEL THE FLOW!!! It takes balls to put out a UKE album! 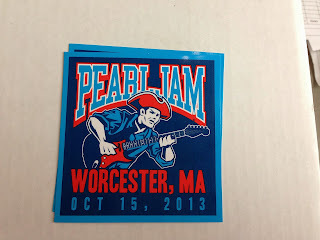 Pricing on the stickers? Keychains? Hats? Don't see that listed anywhere and I'm trying to budget what I bring with me to Philly 1&2. Thanks in advance! Hey, I've stolen a bunch of peoples pics. 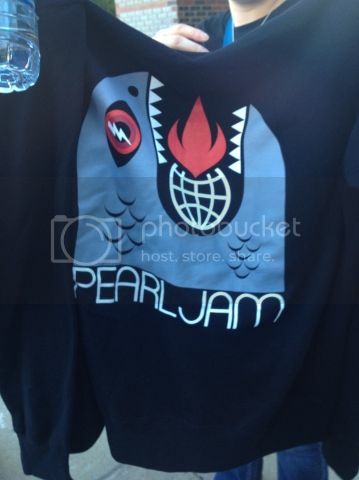 If its on the net & PJ Merch related consider it snagged (for a good cause of course) It's a compulsion & I may need help. 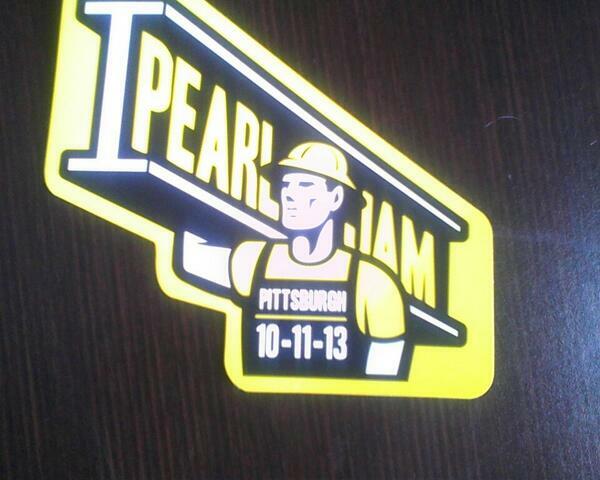 However, I keep looking at the tour schedule & say to myself, "This is gonna be ALOT of pic swiping!" Hope I can keep up...Better yet, hope the page can keep up. I wonder how many pics can be posted in one thread! 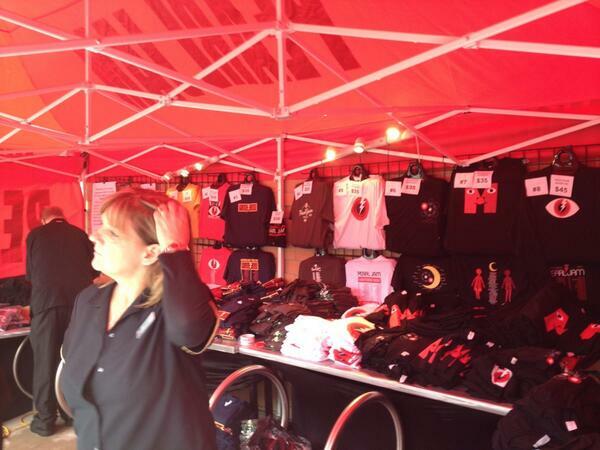 Seriously though, thx to everyone who posts pics of this merch. If you have a problem with me using one of yours, just tell me & I'll delete it. Just trying to do my part. Are the men's shirts/hoodie available in 3xl? I was mostly kidding. 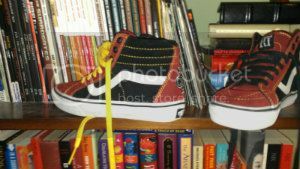 I posted them on fb and WAS going to post here but its time consuming! So thanks! I'm trying to figure out which one is the hoodie? 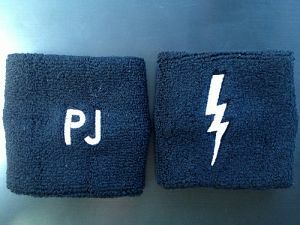 Those sweat bands are sweet - were they at every show so far? 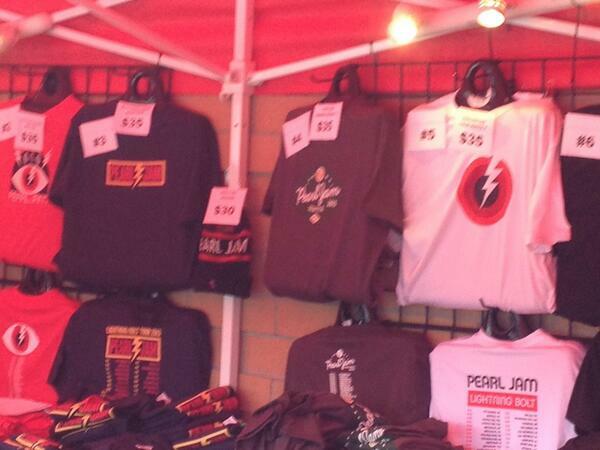 How'd you get photos of the Brooklyn merch before the show? 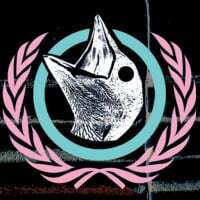 Are we able to buy/order beforehand? It would be awesome if I didn't need to carry it around the show. Wow I love tonights poster for Worcester 1. It had me fooled thinking it was a Max242 poster. That is super sweet they have music for sale in the booth! Thank you for this thread OP. I hope I can get the vinyl but it will be annoying to lug it around. Hmmm maybe I will go post show. posters run the gamut, as usual. Really? I think it fits weird. Like the top part is too loose and it starts too low, not covering my bra in the back. 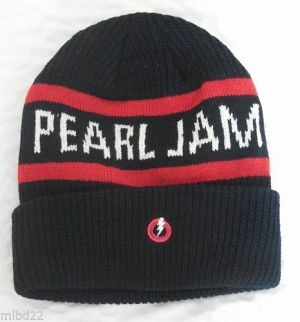 I got mine in wrigley. 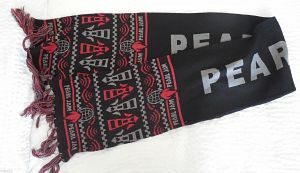 But I do love the design. 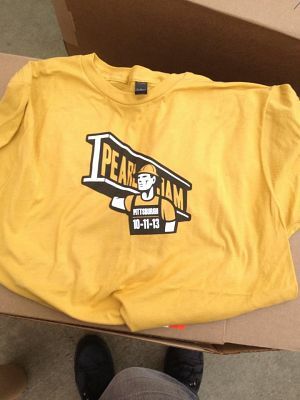 The Bklyn 2 shirt is no longer showing in the photos, anyone have another source? sorry about that earlier must have been a glitch on my end, it's there now. have the falla sheep been available at all shows? And do they sell out quickly or is there enough stock? Equipped with his five senses, man explores the universe around him and calls the adventure - science. Is the whale hoodie a zip-up? How much? 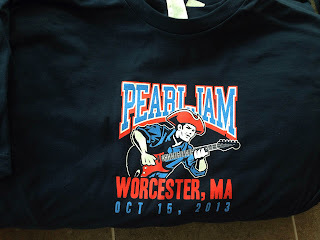 Sooo.....I like the Worcester print. Very nice!